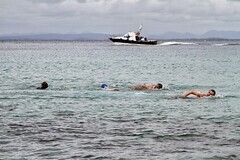 On Inis Oírr we organised a micro triathlon to raise awareness of Pulmonary Hypertension in our area. 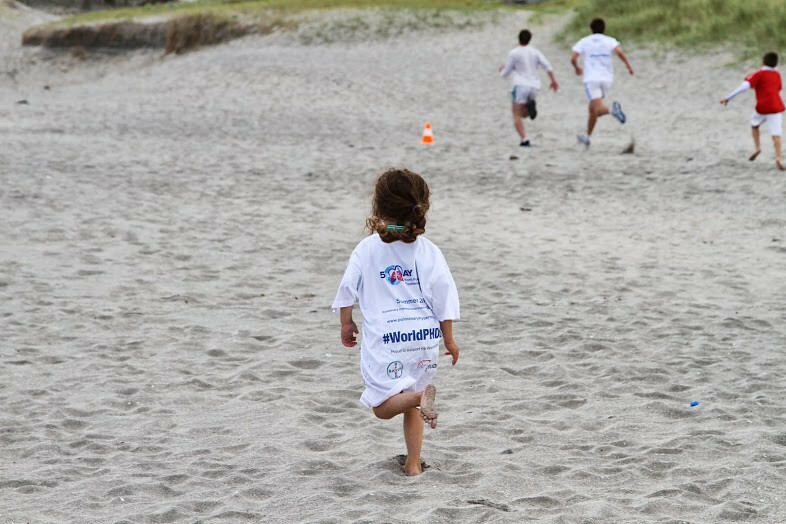 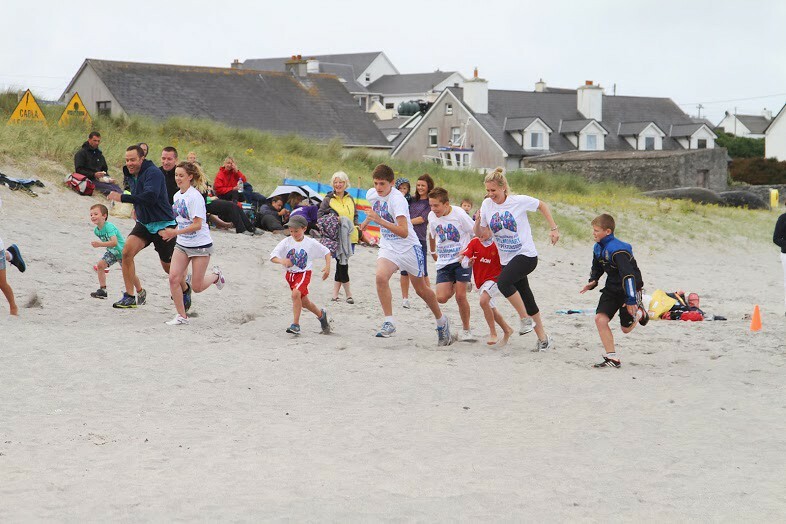 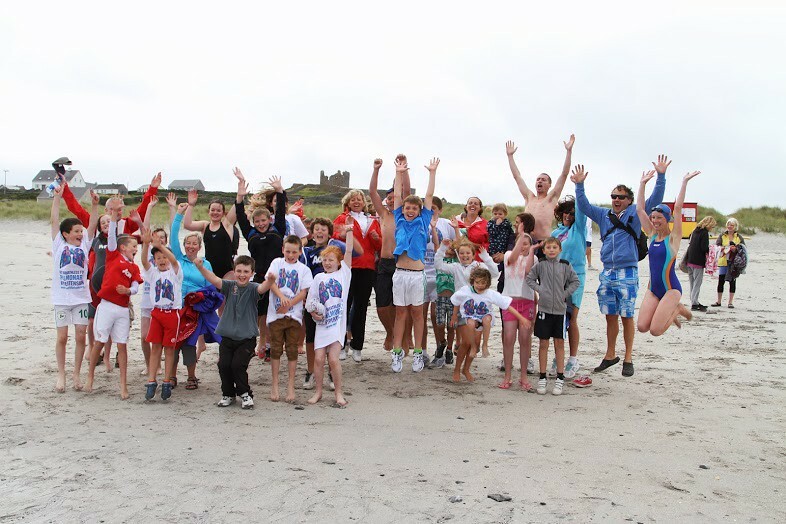 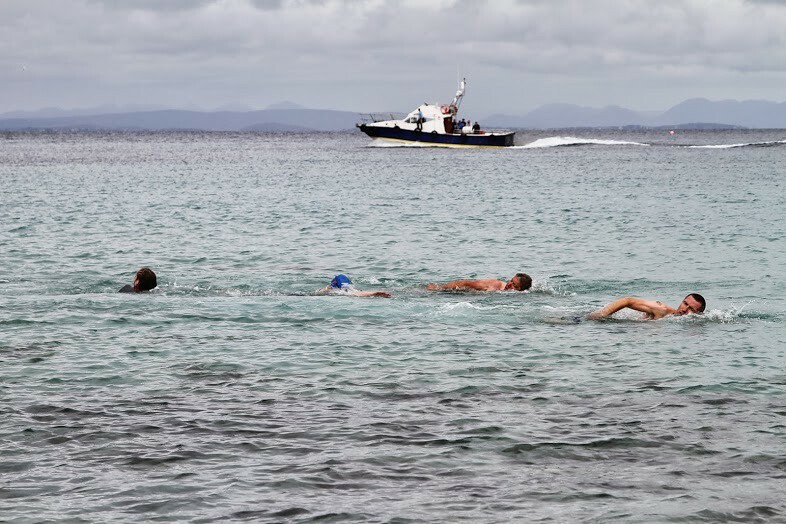 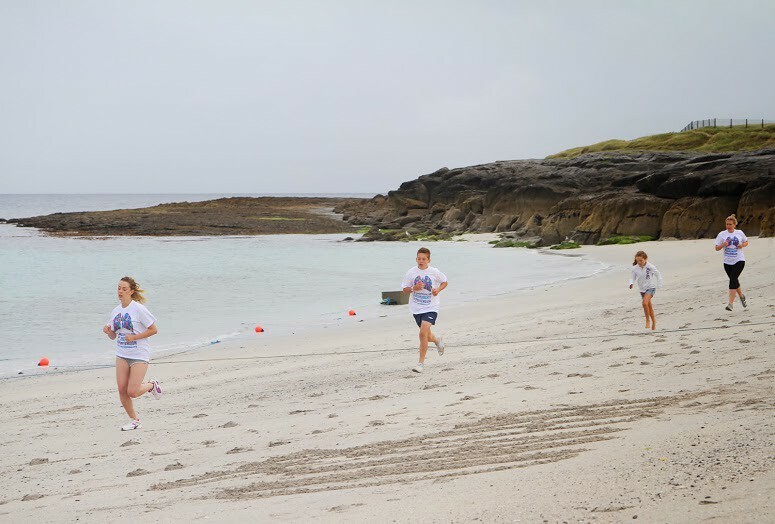 Children and adults took part in the micro triathlon race which began with a run on the beach, followed by a looped cycle,from which the contestants returned to the beach, to tag the swimmers who ultimately completed the race! 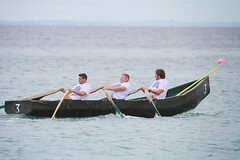 Many of the contestants ran as a team of three, however a very confident few took on the race as a whole! There were national currach races also taking place on the island and Pulmonary Hypertension was also highlighted during the races. 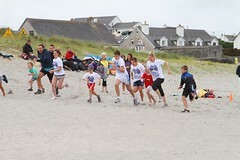 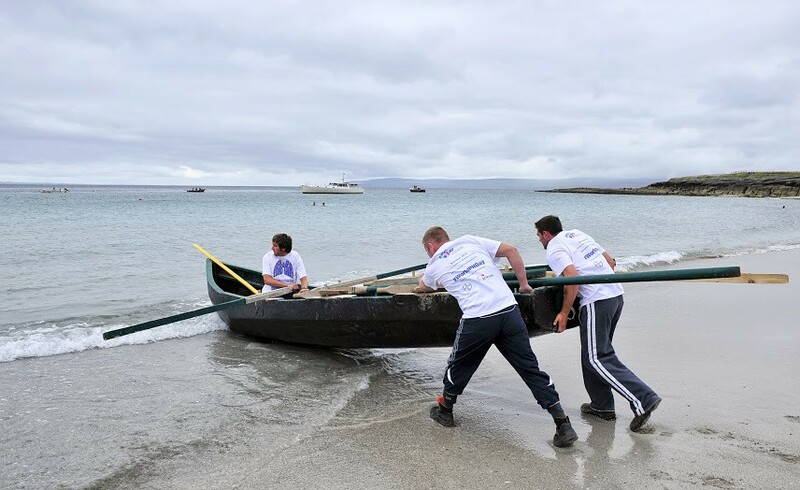 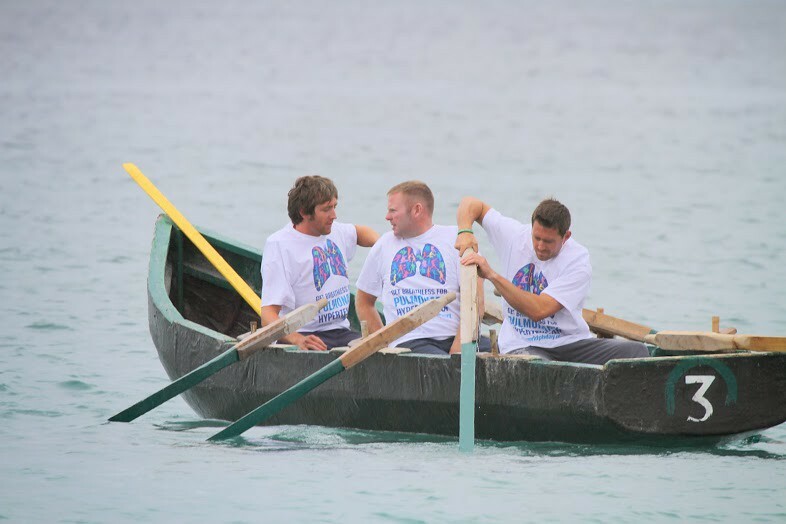 The Inis Oírr currach team were more than happy to promote Pulmonary Hypertension by wearing the T-Shirts on race day! 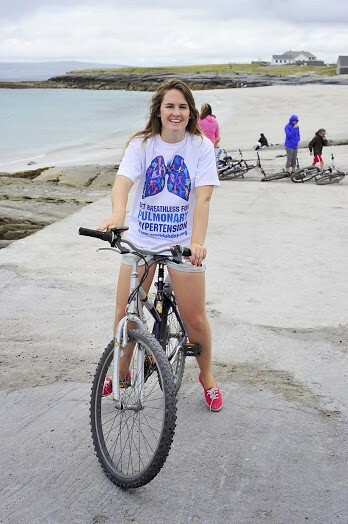 We spoke to the many spectators on the beach and explained to them what Pulmonary Hypertension was, what the symptoms were and how one may be misdiagnosed with asthma for example. 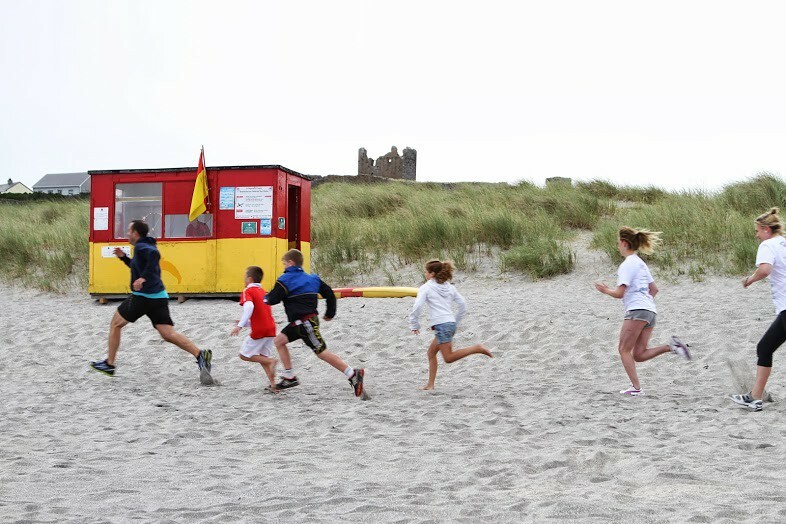 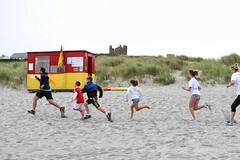 We collected €305 on the beach as the races were taking place. 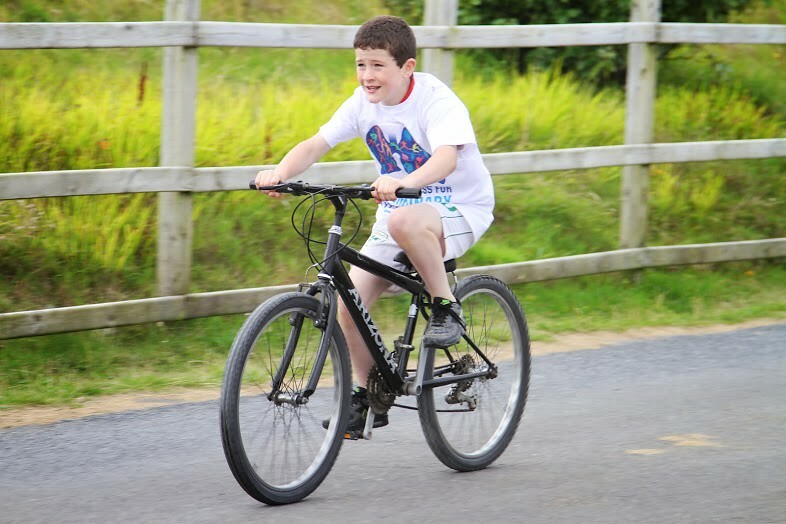 Congratulations to CILLIAN ó CONGHAILE who came first place in the race. Cillian completed the race as a solo competitor!